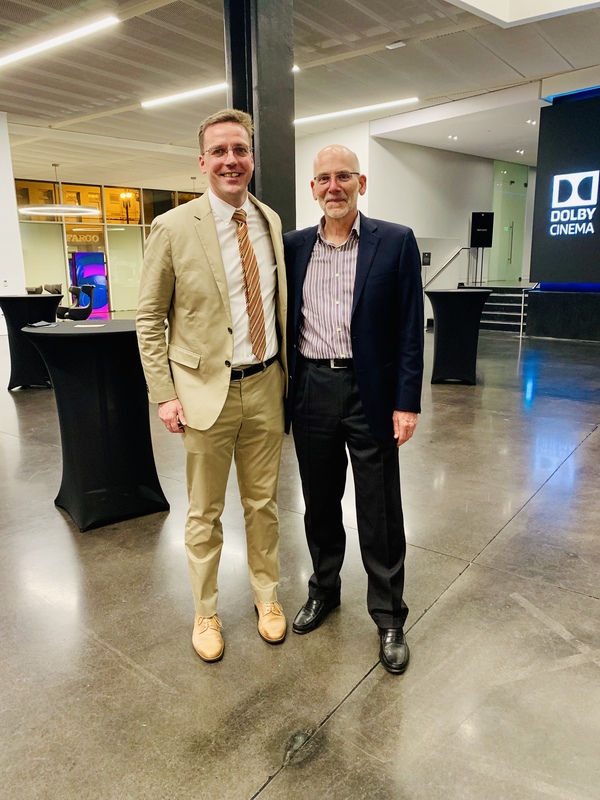 Alumni, current, and prospective students met at Dolby Laboratories on March 21 for a presentation of Dolby Cinema and networking reception. Thank for hosting us, Steve! Alumni gathered for dinner and drinks in River North at Hub 51, Chicago on March 19. If you missed out, we are looking to plan another gathering in the fall. 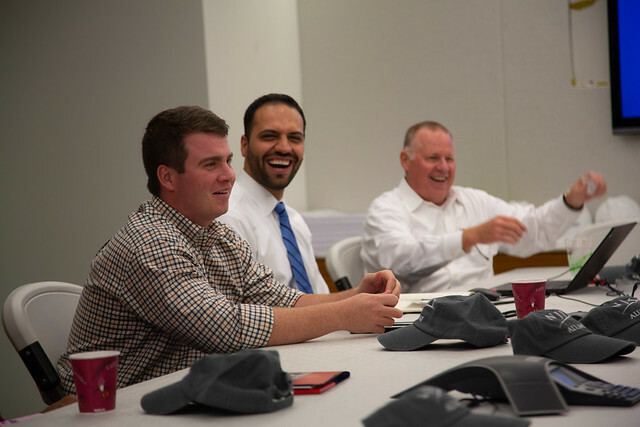 Interested in learning more about our developing Chicago alumni regional group? Please e-mail Danielle Siemons (Assistant Director, Alumni Relations) at dsiemons@njit.edu! 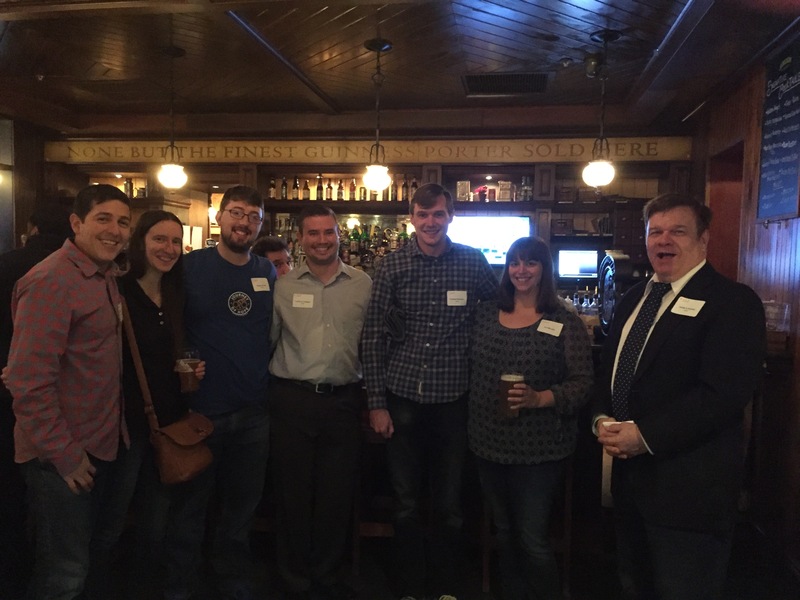 Over 60 alumni attended a recent get together at The Shannon Rose in Clifton. it was a nice gathering over happy hour drinks. We hope to do it again next year! The NY Metro Alumni Committee recently hosted its wildy popular happy hour at Sky Room, Times Square. 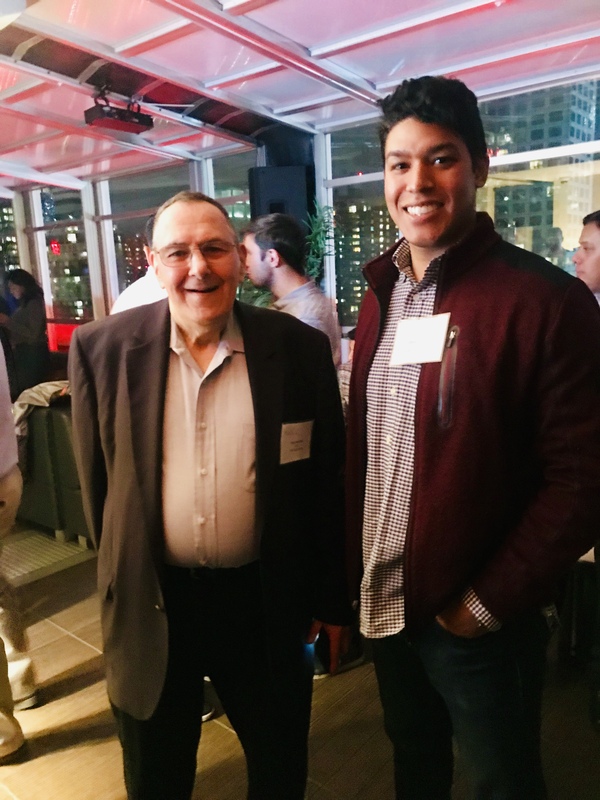 Over 80 alumni and students gathered on the winterized rooftop that has some of the best views of the city! Photo: Chris Antholis '18 and Alfred Martinez '10' '18 at the Sky Room. Chris is one of NJIT's new graduates! 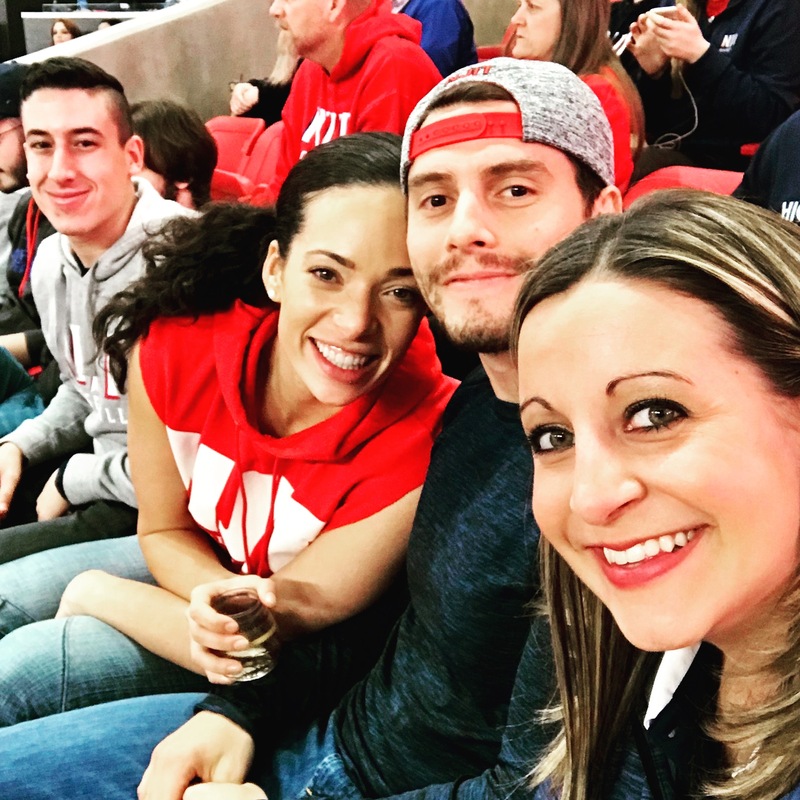 You can read more about Chris and his NJIT journey here. The next NY Metro alumni event is Speaking of Careers (an alumni reception and career panel) hosted on April 9, 2019 at WeWork in Chelsea. Please click here to register. 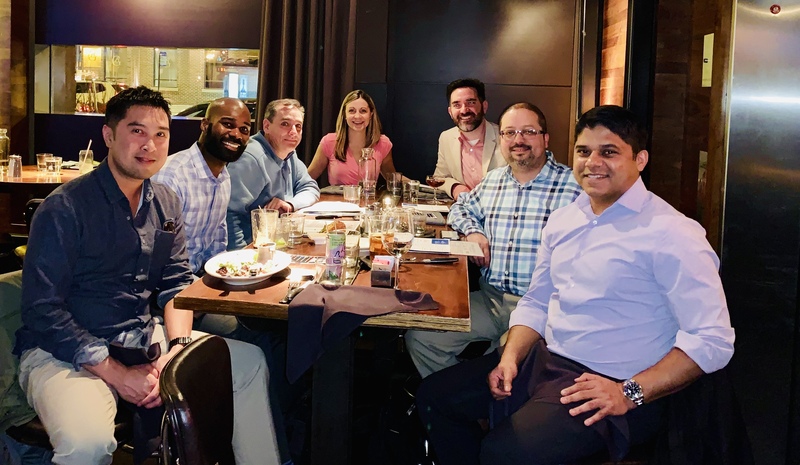 Join NY Metro Alumni on Tuesday, April 9, 2019! 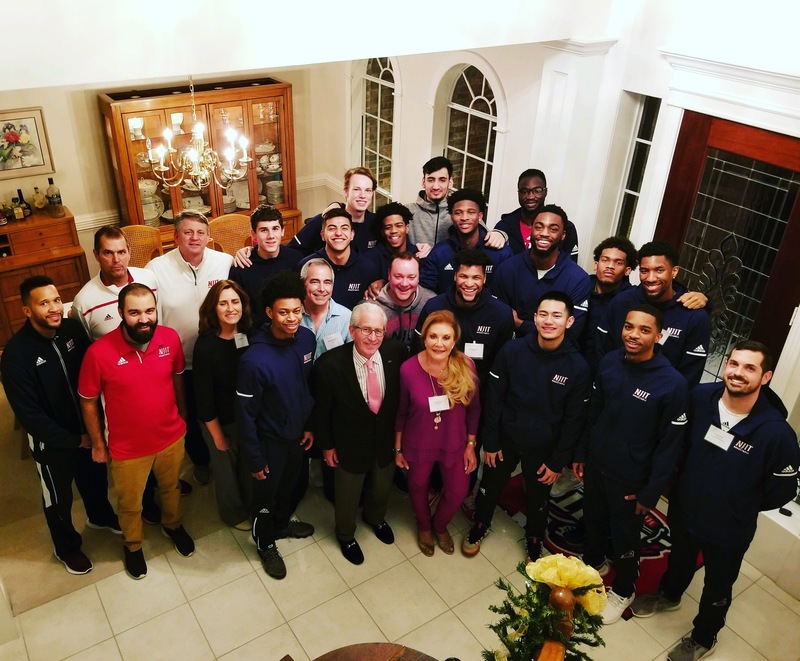 On December 28, Ralph Maddalena ('75 '77) hosted the NJIT Highlanders men's basketball team and staff at his home in the Woodlands, Texas. In attendance: President of NJIT, Dr. Joel Bloom, his wife Dr. Diane Bloom, VP of Development and Alumni Relations, Dr. Kenneth Alexo Jr., and Assistant VP and Director of Athletics, Lenny Kaplan. On December 29, 40+ alumni and friends gathered for a pre-game reception at University of Houston's Alumni-Athletic Center. Following the reception, the group headed to the Fertitta Arena to cheer on the Highlanders. This was NJIT's first all time meeting with University of Houston. The Cougars ranked 22nd in the Associated Press Top-25, while the Highlanders received a vote for a third-straight week. Special thank you to the regional alumni committee for helping to orgnaize this special event! Thank you for staying connected with NJIT this year! Make sure to stay in touch in the new year! Join Highlander Nation, our new online community at highlandernation.njit.edu. Visit njit.edu/alumni/events to register for our upcoming events! NJIT alumnus Stan Barauskas led a a private tour of the California Science Center for fellow alumni. On Tuesday, December 4, 2018, more than 50 guests from Stryker visited NJIT to tour campus, meet with administrators, social with fellow alumni, and enjoy a Highlanders basketball game. Hosted by the Stryker Alumni Corporate Club, the event included alumni, prospective students, and the Stryker African American Network (SAAN). 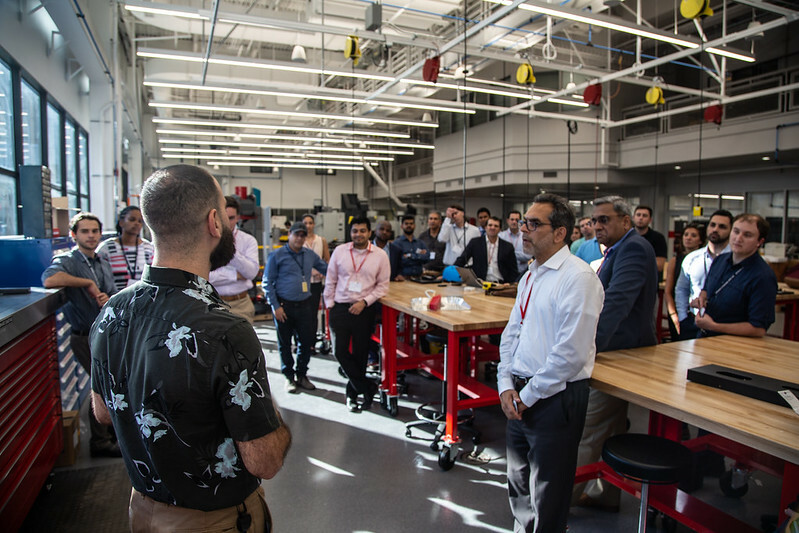 The SAAN met with NJIT's Pre-College Program for an exchange of ideas and suggestions for future collaboration, while alumni toured research labs, including the Car Engine Lab, the Center for Injury Biomechanics, Materials, and Medicine, the Rehabilitation Robotics Lab, and Makerspace. The event ended with the group celebrating the Highlander Men's Basketball Team notch a win over Army, bringing the current season to 8-2. Alumni kicked off the holidays by attending going to the McCarter Theater in Princeton for A Christmas Carol. Prior to the show, they enjoyed hearty appetizers and sipped on holiday inspired cocktails in an atmosphere fit for all Dickens enthusiasts. Then they followed Ebenezer Scrooge on a magical journey through Christmas past, present, and future. The South Jersey/Philadelphia Regional Alumni Committee hosted a holiday reception on Wednesday, December 5, 2018 at the Pyramid Club in Philadelphia, PA. Our reception was located in the Franklin Room, with amazing views of City Hall and the Ben Franklin Bridge. NJIT’s Director of Athletics, Lenny Kaplan, presented to the group and provided an overview of the current state of NJIT. Thanks to everyone who came out! 5 alumni gathered at the Karl Strauss Brewery in San Diego, CA for dinner on November 27. Are you interested in hosting an alumni meet up in your area? Contact Danielle Siemons, Assistant Director at dsiemons@njit.edu for more information! 30 alumni and friends enjoyed an afternoon at Top Golf in Edison, NJ on Sunday, October 21. 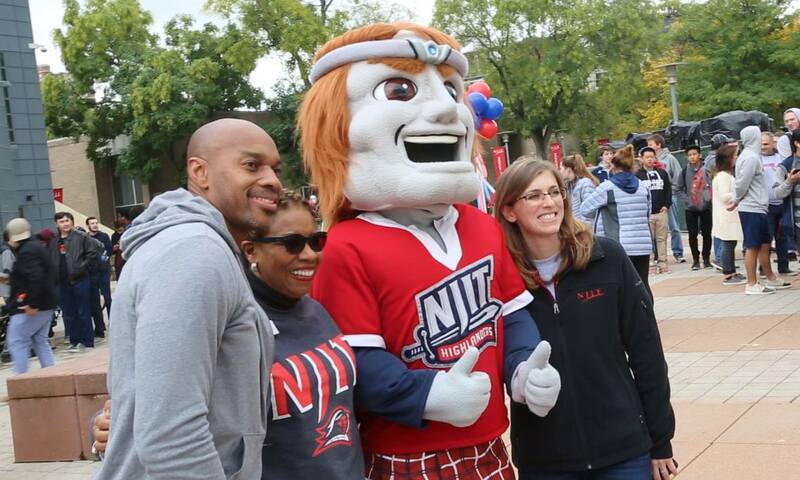 On Saturday, October 13, 2018, NJIT hosted Homecoming 2018, a festive university-wide celebration of the NJIT community’s spirit and of the close ties enjoyed by alumni, students, faculty, staff, family and friends. From outdoor performances, arts and crafts and inflatables to carnival games, campus tours and a family clam bake/barbecue, there was something for everyone to enjoy. The Office of Alumni Relations sponsored a Beer Garden on the Mechanical Engineering Building Walkway. Event attendees were asked to bring non-perishable food donations for the NJIT food pantry for students who are striving to make ends meet by forgoing meals to save money. Click here to view a photo gallery of the Weekend. 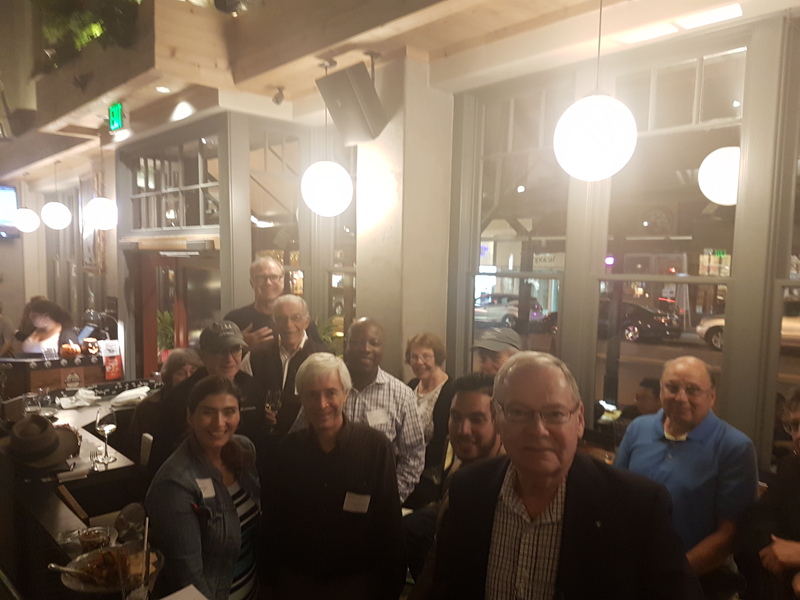 14 alumni and friends gathered at the State Room Brewery in San Rafael, CA for happy hour on October 4, 2018. The happy hour was hosted by Pelin Selim, ME EE '09. Dr. Bloom was invited by members of the New York Metro regional committee to a meet and greet with executives from AECOM, Tishman, Hines, and SLGreen, followed by a tour of One Vanderbilt. Matin Hekmat, BS CE ’12, was the host of tour. Matin is currently a Structural Project Manager at Tishman and dedicated member of the NY Metro alumni committee. The $3.1-billion One Vanderbilt will rise to an expected 1,401 feet, set for completion by the end of 2020. Next NY Metro event: Join us for happy hour on Thursday, October 11, 2018 at 6:00 pm. 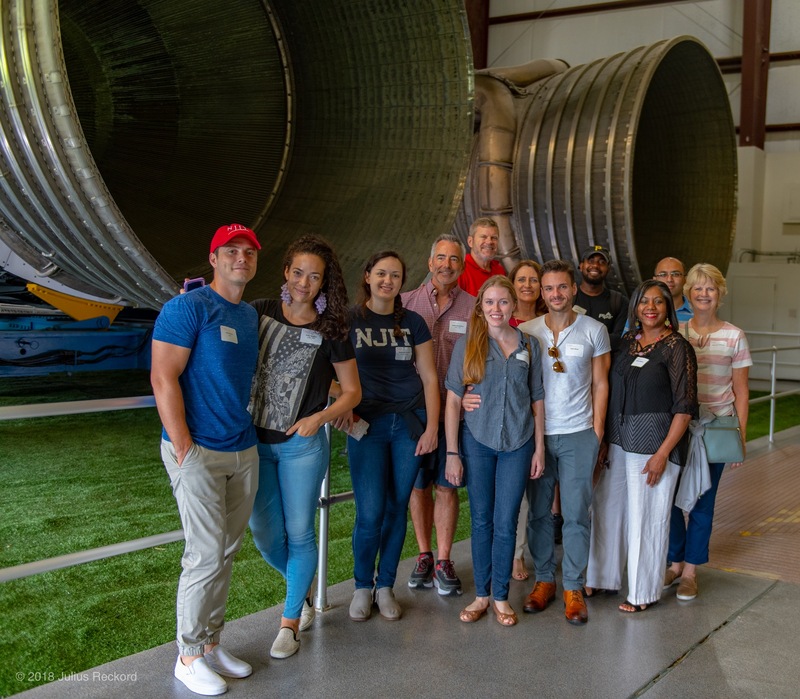 Alumni and friends took a private tram tour of Space Center Houston on Sunday, September 23. Our next Houston Alumni event will be on Saturday, December 29 when the NJIT Highlanders men's basketball team takes on University of Houston. What are your regional clubs up to? Our most recent event was a Bowie Baysox vs Trenton Thunder, Minor League Baseball Game, June 2, 2018. Our next meeting is on October 2, 2018. We welcomed new volunteers Steve Annunziato, who will be a occasional contributor to the DC Metro Alumni team. Our future plans include: October 19 - Visiting Old Stein Inn in Edgewater, MD for future events; November 10 - Planning an event at the Signature Theatre in Arlington, VA.
Our next event is at the Houston Space Center Tour with Lunch, Houston, TX, September 21. Our most recent event was an Astros/Yankees game on May 2. The event was attended by 20 alumni, family, and friends. Our next meeting is a teleconference in mid-September. Our future plans include a basketball game, University of Houston v. NJIT Highlanders. December 29, 2018. Possible reception with President Bloom. Our most recent events were the Clipper City boat cruise, Battery Park City, September 15, 2018, and Speaking of Careers at Amazon HQ in April 2018. Our next meeting will take place in the fall. Our future plans include a Meetup on October 11, 2018, continuing with our ambassador program and a focus on mentorship: 5 committee members will mentor 1-3 current NJIT students. Our most recent event was a Pre-game and Yankees vs. Phillies ballgame at Citizen’s Bank Park, July, 2018. Our next event is a meetup at the Chaddsford Winery Halloween, Chaddsford Winery, October 20, 2018. We welcomed two new volunteers, Rich Seffrin and and Edie Kelly. 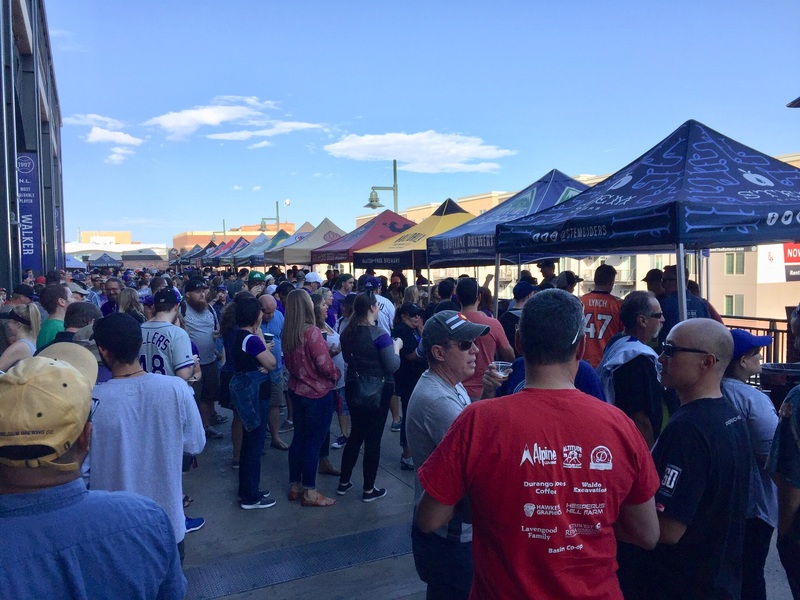 Our most recent event was a Rockies vs. LA Dodgers game on September 8, 2018. We are planning more events in the future. Stay tuned. Our next event is a tour of SS American Victory, November 17, 2018. Our future plans are to interest more NJIT alumni in supporting planned events and joining planning committee. Our most recent event was a Monmouth Racetrack event on June 2, 2018. 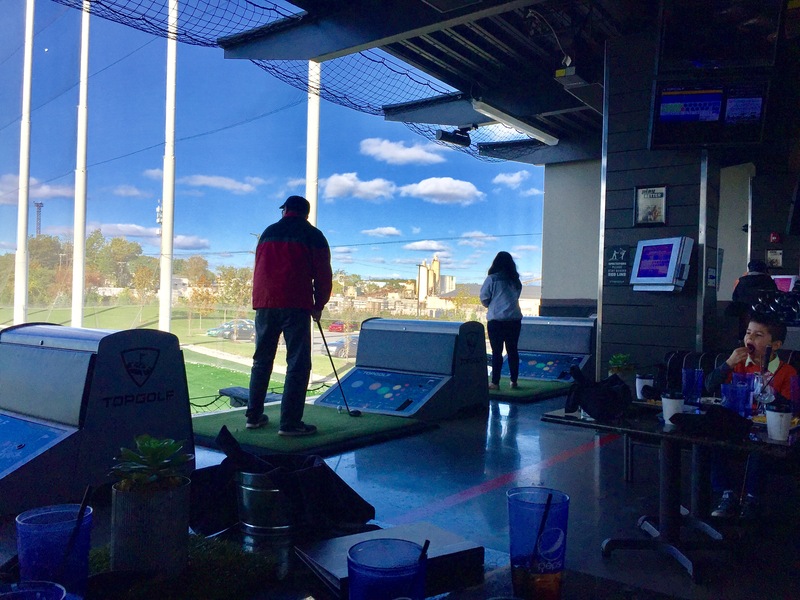 Our next event is at Top Golf in Edison, NJ, October 21, 2018. We welcomed new volunteer Mario DeLaPaz, Middlesex County. Mario was recruited from the recent Perth Amboy reception with President Bloom. Our future plans include interesting more NJIT alumni in supporting planned events and joining planning committee. Our most recent event was a kick-off and recruitment meeting in April 2018. Our next event is a Tour of the California Space Museum, date to be determined. Our future plan is to continue to recruit new volunteers. What are your corporate clubs up to? We are participating in Career Fair on September 26, 2018, NJIT campus. We are planning our Annual Food and Beer Pairing on November 1, 2018, Eberhardt Hall, NJIT campus. Our corporate club representatives will attend Celebration 2018 on November 9, 2018, Pleasantdale Chateau, West Orange, NJ. We are planning a visit to Mott with with President Bloom and Andrew Christ. Date TBD, Iselin HQ. We are planning a tour and reception before a basketball game. Date TBD, NJIT campus. We are hosting Louis Hamilton, Honors Dean and Janet Robertson at Microsoft in the fall. We are looking to recruit new alumni leaders on the east coast! Volunteer today at alumni@njit.edu. We recently completed campus tour and reception, August 30, 2018, NJIT campus. We hosted a Prudential / NJIT Alumni Career Panel Discussion on September 13, 2018. We are planning to host a reception before a basketball game. Date TBD, NJIT campus. There are 5 sub-committees under the Advisory Council: Alumni Management, Mentorship, Networking Events, Recruiting, and Capstone. We are in the process of establishing leaders and members for each committee and determining each committee’s objectives and key 2018 deliverables. We selected a new chair, Glendon Scott, and met with Michael Smullen and Dennis Ciemniecki to discuss annual plans. We plan to recruit new alumni leaders to alumni committee. We are planning a tour and reception before Basketball game. Date TBD, NJIT campus. We had a visit with President Bloom on September 11 at Stryker HQ, Mahwah, NJ. We are hosting a campus tour and reception before Basketball game. December 4, NJIT campus. Our HR representative participated in a Career Fair Prep Workshop hosted by Young Alumni Association on September 17, 2018, NJIT Campus. 80 alumni and friends set sail on the Annual Clipper City Schooner private charter. Anmol Mittal '16 BIO winner of networking bingo. More than 50 NJIT alumni hosted President Bloom at Stryker headquarters in Mahwah, NJ on September 11. The event marked the fifth time Stryker engaged with NJIT this year. Previous engagements included a Stryker campus tour and basketball game, a lecture at Stryker headquarters by Dr. Treena Arinzeh, Biomedical Professor, and visits from students in the Pre-College Program and Biomedical Engineering Club. At the invitation of Stryker Joint Replacement's CTO, Robert Cohen '83, '84, '87, Dr. Bloom toured Stryker's new Additive Manufacturing Lab, 3d Printing Facility, and several other areas of the Stryker campus. Club co-chairs Joe Racanelli '83 and Ken Trimmer '92 hosted a lunch with dozens of NJIT Stryker alumni, followed by a presentation to the club from Dr. Bloom. He highlighted new campus construction, new faculty research, increasing connections with Newark, and NJIT's newly-released ranking in U.S. News and World Report, placing the university at #106 nationally. Cohen encouraged the group to stay connected with NJIT. "You all know that we're not here because we have to be," he said, "We're here because we care about the work we do, and because we care about our alma mater." Following Cohen's remarks, Racanelli and Trimmer conducted a Q&A with Ken Alexo, Jr., Vice President of Development and Alumni Relations; Vincent Lombardo, Executive Director of Development; and Michael Smullen, Alumni Director. Attendees asked several probing questions about how to meaningfully engaged with NJIT. Among the topics of consideration were: how to communicate mentorship opportunities with students and other alumni, how to increase the number of Stryker employees on volunteer boards at NJIT, and how to establish consistent, meaningful touch-points between Stryker and NJIT. The event concluded with a call for the next Stryker alumni event on December 4 at NJIT's campus. Alumni will take a tour of several lab facilities, including the new Makerspace, and enjoy a beer and wine tasting, followed by attending a Men's Basketball game vs. the West Point Black Knights. Click here to read more and register. 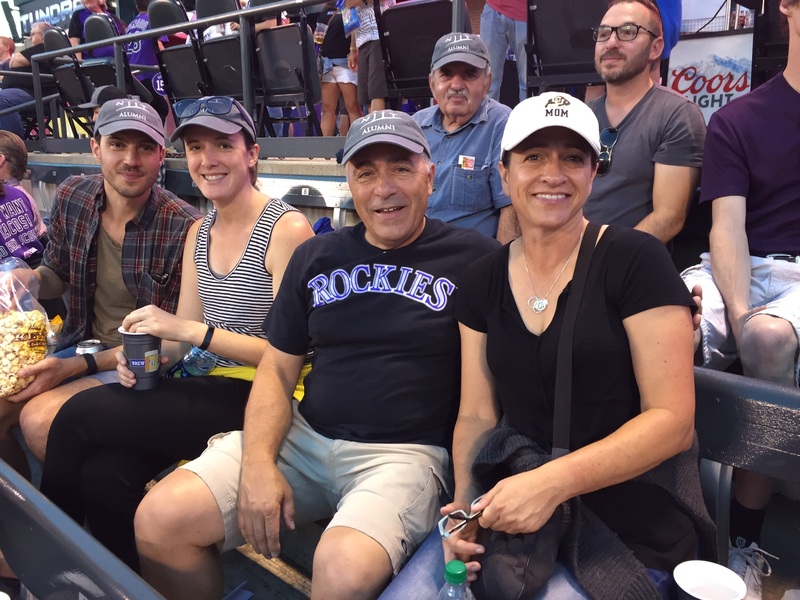 20 alumni and friends attended the Rockies vs Dodgers game and BrewFest at Coors Field on Saturday, September 8, 2018. More than two dozen alumni working at Prudential returned to campus on August 30 for a campus tour and reception. The event, a joint effort between the Alumni Association and the Prudential/NJIT Connections group, marked the second of several events planned this year to increase engagement with Prudential's 200+ alumni employees and the university. Makerspace - Opened in 2017 with state funding, the 10,000-square-foot Makerspace is a training-focused, rapid prototyping facility that is central to both the university’s hands-on learning mission and its growing relationship with New Jersey’s manufacturing community. Central King Building (CKB) - Renovated and re-opened in 2015, the former Central High School has been transformed into a state-of-the-art STEM teaching and learning hub. The structure is a critical anchor for teaching and learning in Newark, with a primary focus on biology and collaborative learning. Wellness and Events Center (WEC) - Opened in 2017, the 220,000-square-foot NJIT Wellness and Events Center provides flexible program spaces that promote the health and well-being of NJIT students, support their academic pursuits, connect the campus to the professional community, and delivers training facilities that enhance the development of Division I student-athletes. The tour concluded with a cocktail reception at the WEC. Also in attendance were Fadi Deek, NJIT Provost; Don Sebastian, President and CEO, New Jersey Innovation Institute; Craig Gotsman, Dean of the Ying Wu College of Computing; Louis Hamilton, Dean of the Albert Dorman Honors College; Lenny Kaplan, Director of Athletics; and Brian Kennedy, Head Coach, Men's Basketball. 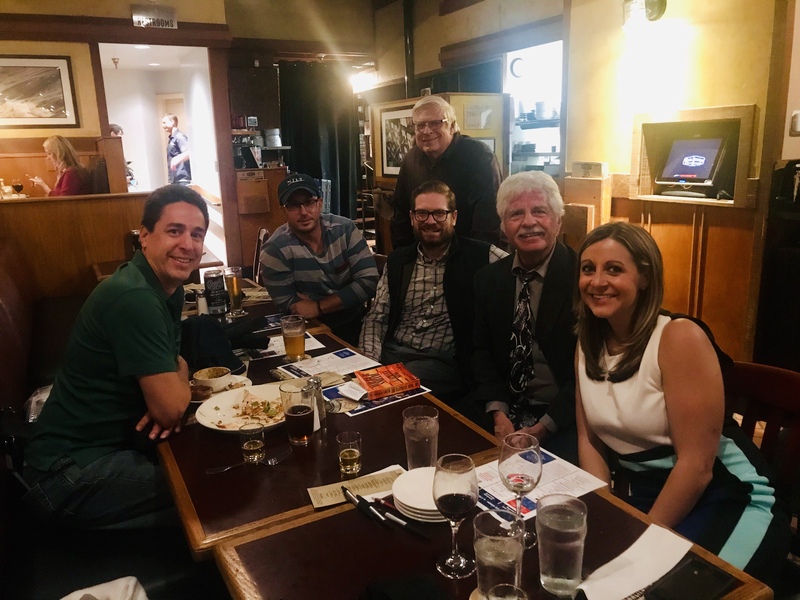 20 alumni and friends gathered at the Fox and Hound Tavern on August 15 for a meet-up with fellow alumni. Guests enjoyed appetizers, cocktails, conversation and listened to higlights of NJIT's recent successes. 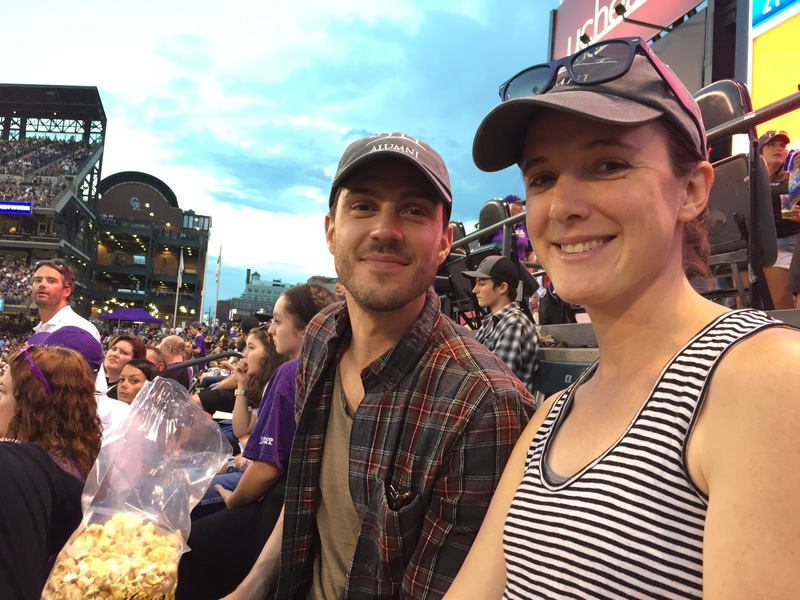 "We started doing 'meet-ups' last year," said Michael Smullen, Alumni Director. "Alumni frequently enjoy just getting together and having some fun. Conversation always turns to NJIT's great rankings, upcoming events, and ways to get involved, but it's organic; no formal presentation needed." There are many more meet-ups planned in New Jersey, New York, and throughout the country. Check out njit.edu/alumni/events to see the full list. Air Force officials announced today Gen. Ellen Pawlikowski, commander of Air Force Materiel Command at Wright-Patterson Air Force Base, will retire in September. Click here to read the full story on the Air Force site. More than 200 alumni and friends attended the 4th annual alumni reunion at the QuickChek Festival of Ballooning in Readington, NJ.